. Published on December 3, 2018 . There’s a lot to be said about the inspiring music created by OPLIAM, the stage name of Columbia Music Business student Liam McDonald. For one, his upbeat mix of hip-hop, rock and roll, and reggae is both catchy and funky enough to get anyone’s toes tapping. But OPLIAM’s music goes farther than just infectious rhythms and enticing melodies: he uses his talent to make impactful statements about the struggles that indigenous people continue to go through. OPLIAM’s family on his father’s side comes from the Kahnawake Mohawk reserve outside of Montreal, and the artist takes inspiration from his roots in order to bring attention to issues of prejudice that have effected his family and his community generation after generation. His recently released third album, MEDICINE WOMXN, features a cover with a picture of his grandmother, a traditional Mohawk medicine woman who was forced to practice her spirituality in secret due to persecution. OPLIAM sees his newest album as a way to acknowledge his ancestors’ struggle to survive in a country that had outlawed their culture. OPLIAM got his start in music when he was 18 and played Native Environmental benefits with Honor The Earth, an organization started by Winona La Duke and The Indigo Girls. Since then, he has played everywhere from Chicago to New Zealand, participated in the Love Water Not Oil tour to protest the oil pipeline development in Minnesota, and taken part in the Standing Rock protests. Currently, OPLIAM has yet another amazing show coming up at the Indigenous Peoples March in Washington D.C. 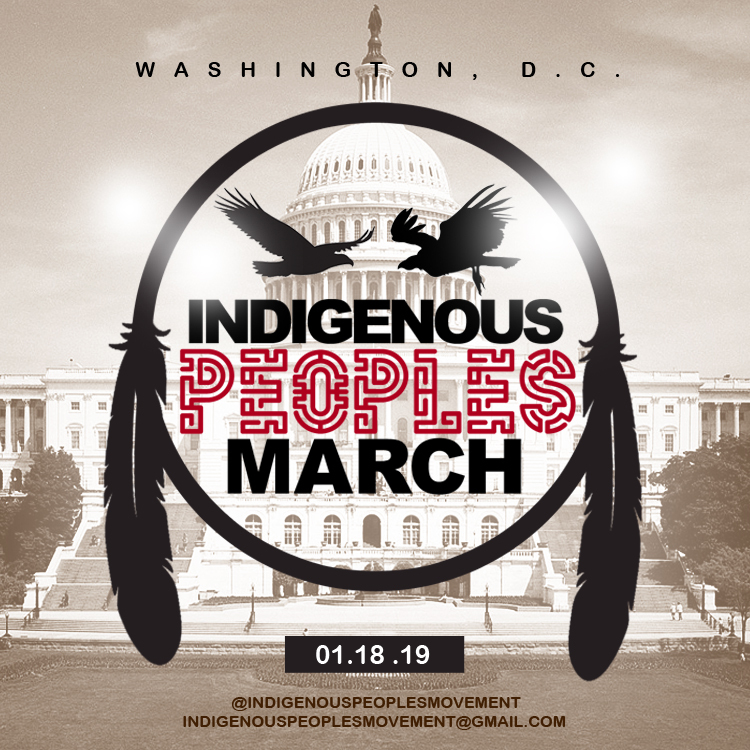 The upcoming march will attract indigenous peoples and their allies to D.C. in order to draw attention to many injustices that are so often not given the mass media attention they deserve. The march will focus its attention on human rights, such as the more than 7,000 missing/murdered Indigenous women whose cases remain unsolved since 2016. It will also call attention to environmental issues, like the continued destruction of the environment through government-approved projects like the Dakota Access Pipeline and the mining project that will destroy Big Bear Ears monument, a sacred site to many Southwestern tribes. The march will take place on Friday, January 18th, the day before the Women’s March on Washington. To learn more about the march and see how you can get involved, visit the Facebook page or the event page. You can learn more about OPLIAM and his music at opliammusic.com.